After making a few stencils I am now starting to mix and match and make letters. I wanted to make a sign that I did NOT have a specific stencil for. This is my finished sign, waxed. 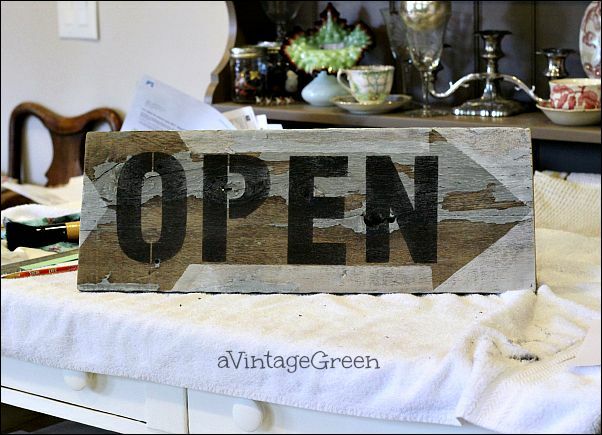 Here is how I made the arrow and OPEN sign. 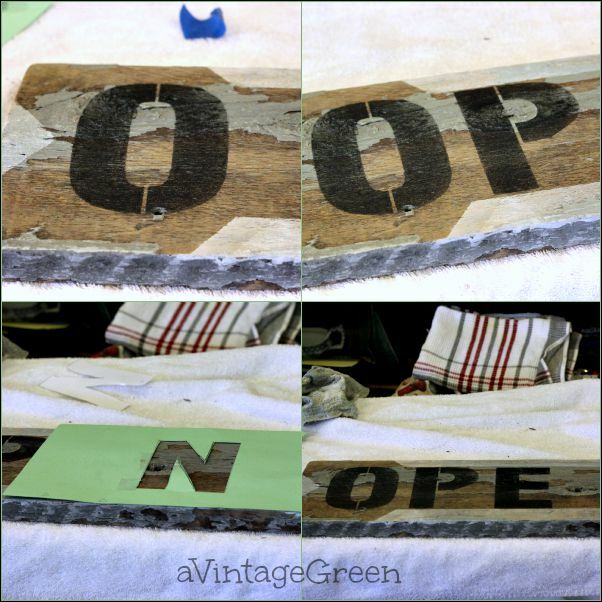 First I cleaned up a piece of old fence board for the sign. The pre-prep included scaping loose paint, sanding, wiping clean. Here is the sequence for making the arrow for the OPEN sign. I made a white wash for the outline of the arrow. I used CeCe Caldwell Simply White, mixed about 1/2 and 1/2 with water in a small dish, brushed on. I used a paper towel to blot any paint that was too white or seeped under the edges. I used the Farmer's Market stencil for the sides of the arrow and the tail feathers, moving the stencil to suit the arrow I was making, holding the stencil firmly in place. I made a paper template for the arrow point. The GROCERY sign had an O and an E and I modified the R into a P with some masking tape. The N was made with the back of the R and the angle of the Y and a stencil for N was traced and razor cut from card stock. I think I will find some heavy sheet plastic to make individual letter stencils. Did your brain read NOPE when you looked at the letters above? Here is the finished OPEN sign before waxing. I also made another BINGO and a GROCERY sign the week. 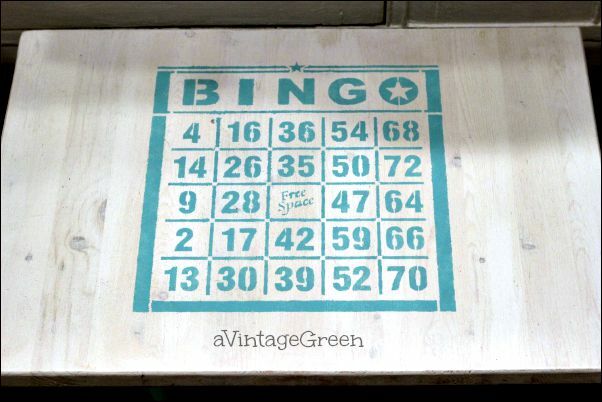 I added the BINGO stencil in Turquoise to the white and turquoise table here. 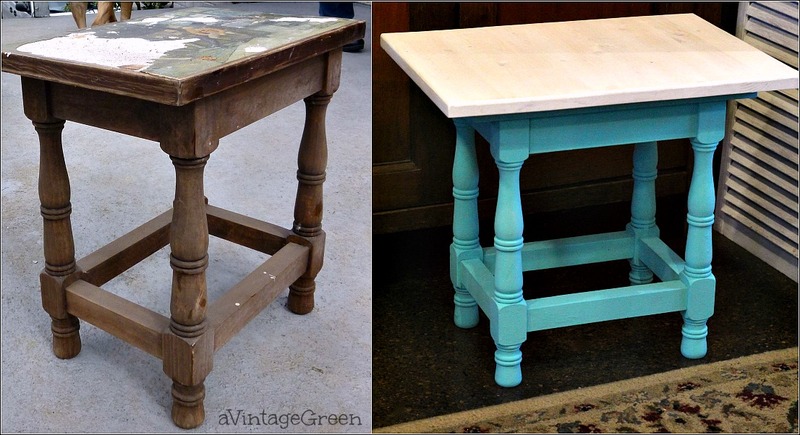 This is the before/after of the little table before I stencilled it with BINGO. I also made another GROCERY sign and added Est. 1901 from the Antiques and Collectibles stencil. I waxed the black words. 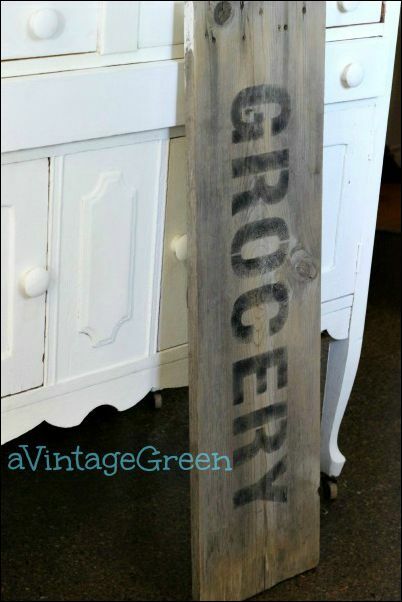 Here is the first GROCERY sign I made. 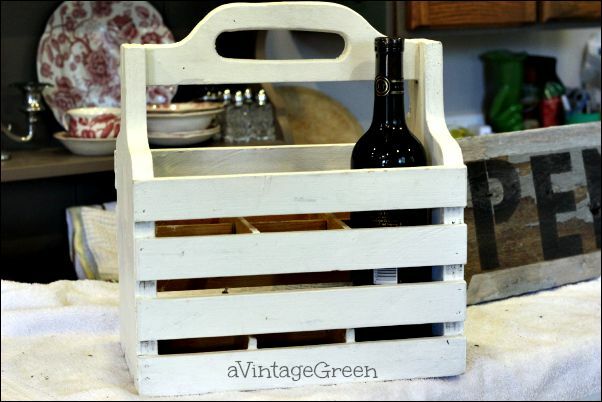 Small project - painted a somewhat banged up (DH repaired) and very marked up (cleaned, painted and waxed) Wine Caddy. Quick fix. A week of small projects. I bought my stencils from Donna of Funky Junk Interiors. I LOVE that chippy paint on the arrow sign. Beautiful work! I really love how your sign turned out, Joy! Looks great! 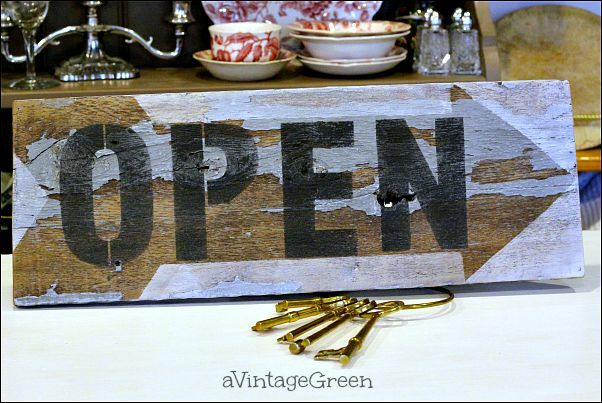 Love your OPEN sign! So cute! You do such good work and pay close attention to everyy detail! Love ALL your 'small' projects!!! 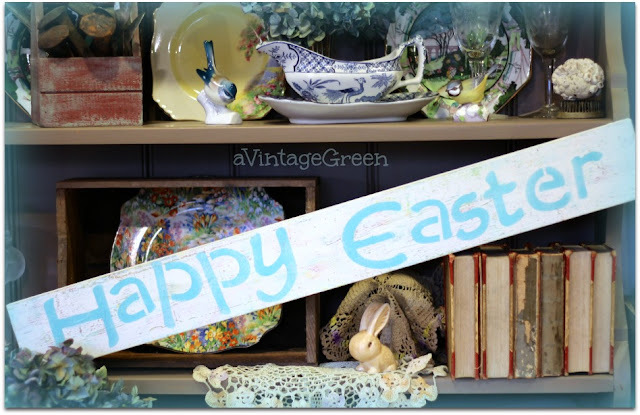 Hi Joy, the signs and table are beautiful! I will have to try that! 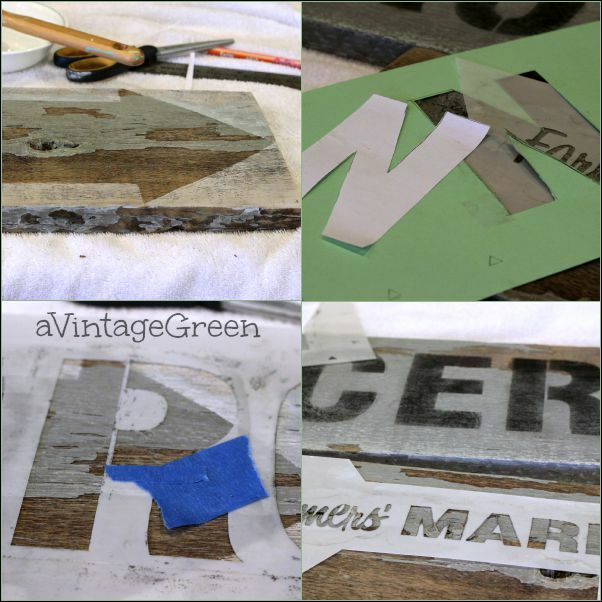 I love stencils & signs!!! I love the arrow sign. I've been meaning to make a sign for my kitchen and I think a sign like this would be perfect. Cute projects. I love the stenciled sign. The bingo table and caddy are my favorites. Happy weekend! 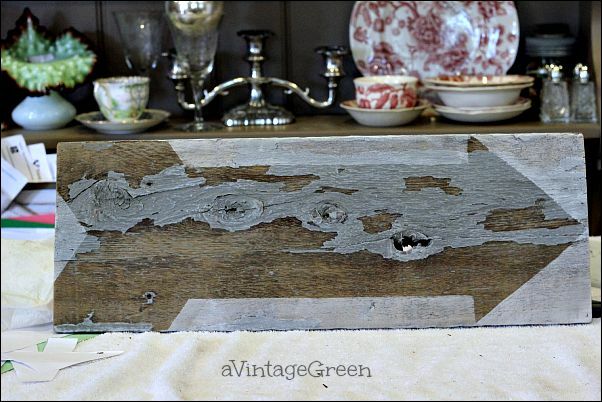 I love the way you figure out what you can make with the stencils you have and then turn that idea into reality. It would be cool for you to find a way to use the "Free Space" spot on the Bingo stencil by itself. Think about it. Fabuous renditions, you are soooo clever! Your signs are gorgeous!